We just clicked ‘SUBMIT’ on a sizable New York Consolidated Funding Application for construction of the major infrastructural elements of the Phase 1 trail, which will extend two miles upstream along the Wynantskill starting from the Burden Preserve. This work will include two gorgeous bridges spanning the Wynantskill. 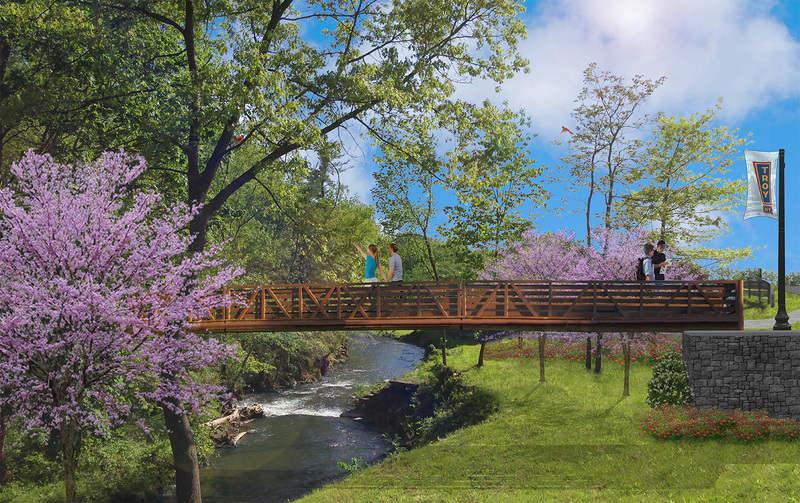 The photo above is a preliminary concept rendering for one of these bridges, created by Kevin Hasselwander of Chazen Companies. If this funding is awarded, our community and region could be hiking or skiing this trail as early as December 2018. Please keep your fingers crossed, and send out all the positive energy that you can! Special thanks to Laura Welles, Kristina Younger, Joseph Durkin, and John Johanson for the collaborative grant writing whirlwind. Not a bad day at ‘work’ when we get to spend it hiking through gorgeous landscapes with a great group of people. Alas, that was our day today as we took newly introduced Chazen to the sites. Chazen comes on to the project team to design Phase 1 of the Narrows trail network. 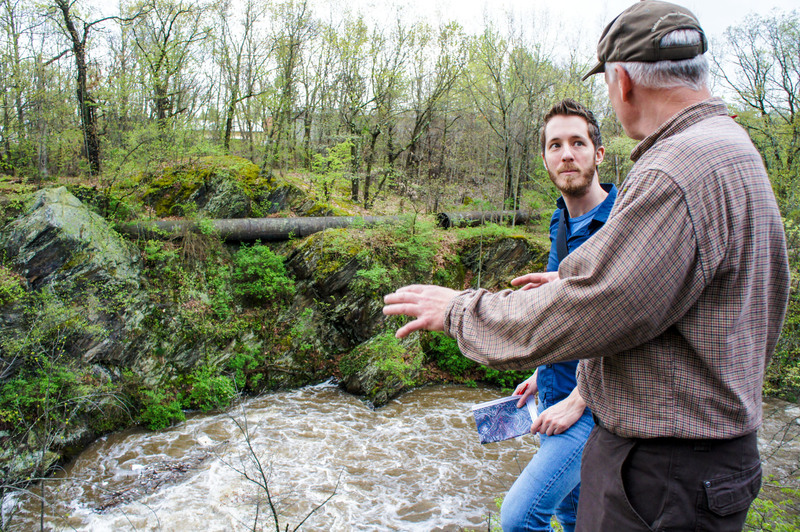 Pictured here are Kevin Hasselwander, with Chazen Companies, and Steven Ovitt, from Wilderness Property Management Inc. standing over the falls just downstream of the Smarts Pond Dam. Also on the team are Brit Basinger and Andy Rymph, both from Chazen, and Stephanie Roberg-Lopez and Beth Selig from Hudson Valley Cultural Resource Consultants, Ltd. Phase 1 of the trails reaches from the bottom end of the Burden Preserve up to the Staalesen Property, owned by Rensselaer Land Trust. This phase extends over 2 linear miles, crossing the Wynantskill twice. Starting in the morning at Staalesen, we worked our way through the entire series of properties, exploring the nooks and crannies, existing trails, possibilities, and generally getting excited about the prospects. With the properties generally off the radar, it feels fantastic to watch the team’s eyes light up as they see the beauty and history present here. The Narrows project, formerly Troy Urban Trails, was just awarded a $48,480 grant through the Environmental Protection Fund. 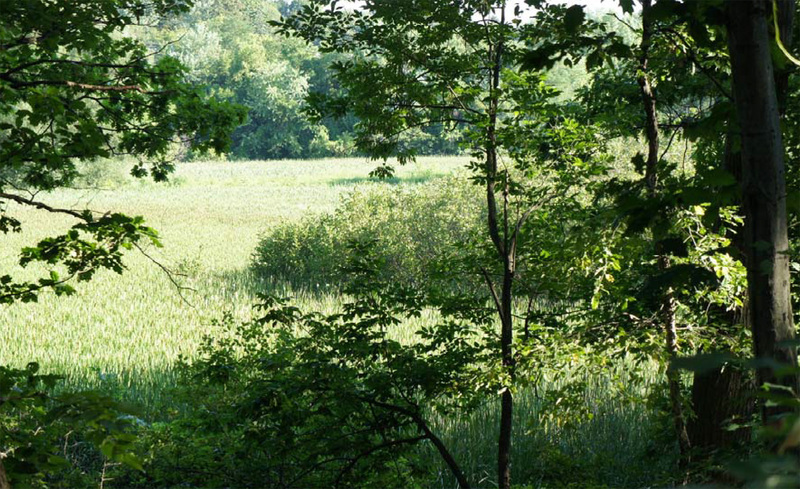 This fund will be used to hire an engineer and landscape architect to design Phase 1 of the trail network, which will extend two miles upstream along the Wynantskill starting from the Burden Preserve. Huge thanks to Monica Kurzejeski, Kristina Younger, Joseph Durkin, and John Johanson for co-writing the grant. We’ll be going out to public bid to select a consultant, so keep your eye peeled.